We enjoy hearing from our customers, and you can call us anytime (during normal business hours) or stop by our Gilbert Locksmith Shop anytime if you are in the area. Many of our competitors are selling used, imported, or generic Keyless Remotes at a really low price, but don't inform the customer of what they are purchasing. Then the customer is shocked to find out when they receive the item (Keyless Remote) that they don't work, or they can't find anyone that will program the Item. Most Locksmiths programming equipment are not compatible with the customers online purchase and will not program. Our competitors such as EBay, Amazon etc. are not being totally honest and upfront with their customers. Here at Pennington Locksmith Company we believe in passing that information on to the consumer. 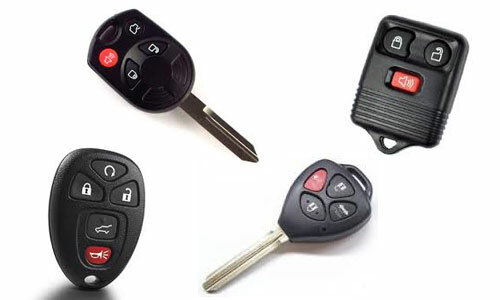 We believe you should know the truth about the Keyless remote, Smart Key you are buying. There is a reason why we are Arizona's #1 trusted 5 star Locksmith Company. We offer Professionalism & Integrity at a fair price. We also offer other Lock and Key Services for your Business, Home, and Automobile Lock and Key needs. Owner Clinton Pennington is a former Police Officer.